Seaboard USY and Kadima programs. 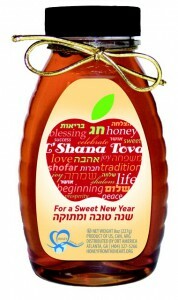 This 8-ounce jar of delicious kosher honey arrives in time for the Rosh Hashanah holiday, decorated with a colorful label, and includes a personalized card reading “L’Shana Tova—Wishing you a Healthy and Happy New Year.” This card also lets the recipients know that a donation has been made in their honor to SHIRA KAPLAN SEABOARD REGION CONVENTION SCHOLARSHIP FUND. Order by July 13th, 2015 to avoid a $4.00 per jar shipping fee.